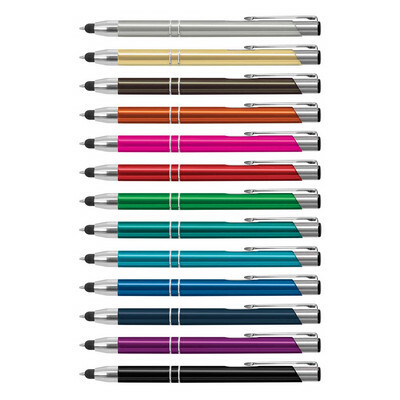 Retractable aluminium ball pen with shiny anodised coloured barrels and a matt anodised Silver barrel, all of which have shiny Chrome accents. It has a stylus for use with touch screens and a Black ink refill with 1000 metres of ink. The barrel laser engraves to an oxidised White colour and Panama can be presented in an optional Black velvet sleeve. 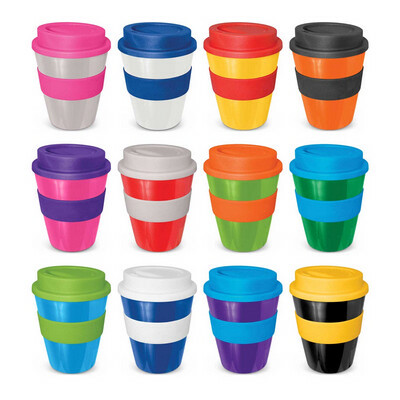 New version of the popular reusable 350ml coffee cup with a heat resistant silicone band and a screw on lid. It is manufactured from tough BPA free, food grade polypropylene which is dishwasher safe. 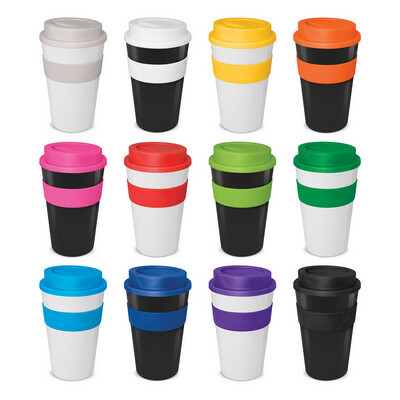 Design your own Express Cup with 1728 different colour combinations available ex stock and an optional Black gift box is available. 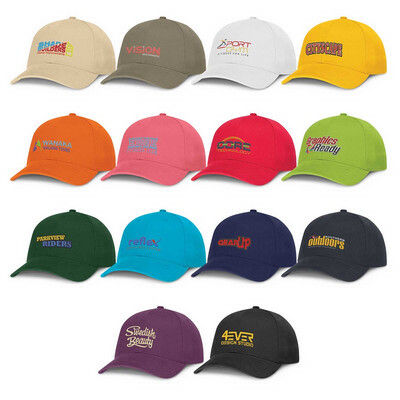 Premium quality structured six panel cap which is manufactured from heavy brushed cotton. 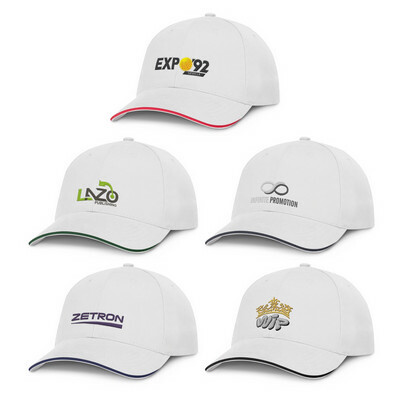 It features embroidered eyelets, a pre-curved peak, a sweat band and an adjustable closure with a smart matt chrome buckle which allows one size to fit most people. 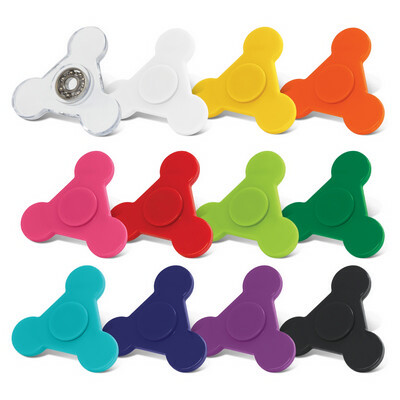 Colours: Natural, White, Grey, Yellow, Orange, Pink, Red, Bright Green, Dark Green, Light Blue, Royal Blue, Navy, Purple, Black. Dimension: One size fits most people. Print Description: Front - 90mm x 40mm. Print Type: Embroidery . Packing: Loose packed. 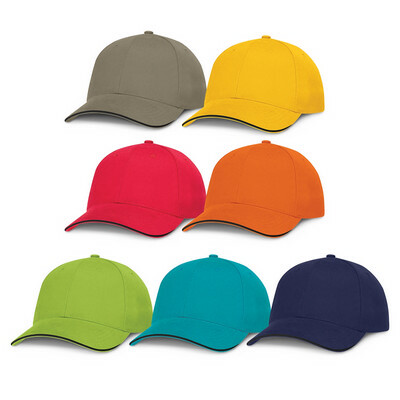 Premium quality, structured six panel cap which is manufactured from heavy brushed cotton. 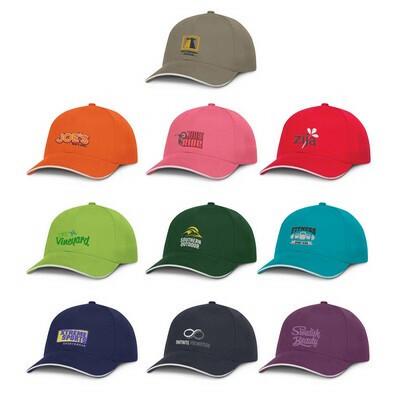 It features embroidered eyelets, a pre-curved peak with Black sandwich trim, a sweat band and an adjustable closure complete with a matt chrome buckle which allows one size to fit most people. 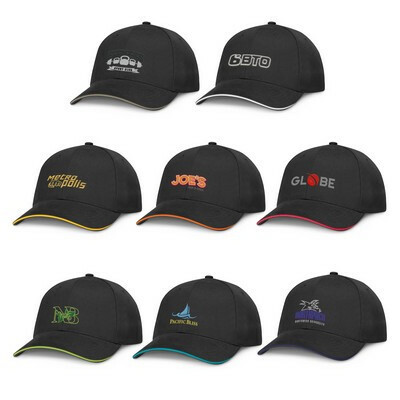 Colours: Grey/Black, Yellow/Black, Orange/Black, Red/Black, Bright Green/Black, Light Blue/Black, Royal Blue/Black. Dimension: One size fits most people. Print Description: Front - 120mm x 55mm. Print Type: Embroidery. Packing: Loose packed.